Camille “CJ” Hirro on having your own story. As Camille or CJ have said, when one has her story to tell, then she can join a beauty pageant, and this here is her story. CJ grew up in family with a brood of eight. Having a large family is full of stories, and hers were full of love and respect. Her parents raised them valuing family over money, this then is the core by which guide a Hirro to be respectful and being helpful. She grew in a middle class household, however with a growing family, they would run into some financial difficulty at times. Having maturity early, they felt, not pressured, they need to be honor students so they can get scholarships or at least get discounts on tuition. It was no problem for the Hirro household as their Mom made learning fun and all siblings help each other with their studies. This environment plus hard work propelled the Hirros to be the best as they can be. In her early years, she idolized her sister who was an athlete, so it was no surprise she was one as well. Running for both sisters was their way of life and they were very good at it. Winning awards for it and however she was always playing second fiddle to her sister until the latter graduated. With her sister in high school, she felt that it was not her time to shine in athletics. Lo and behold, life took a different turn for her. She was asked to give up her uniform and become a beauty contestant. She was in Grade Six at the time. She being a ‘tomboy’ of sort was surprised by this development. She never knew how to doll up or dress lady, so this request horrified her. Adding to her woes, her mother said yes to her principal and off she went to her first pageant, which she won. This was in 1999 and life treated her differently since then. She since then went annually to beauty pageants and have always won. She came to accept the fact that winning is good as the monetary winnings was helping the family sustain the large household. 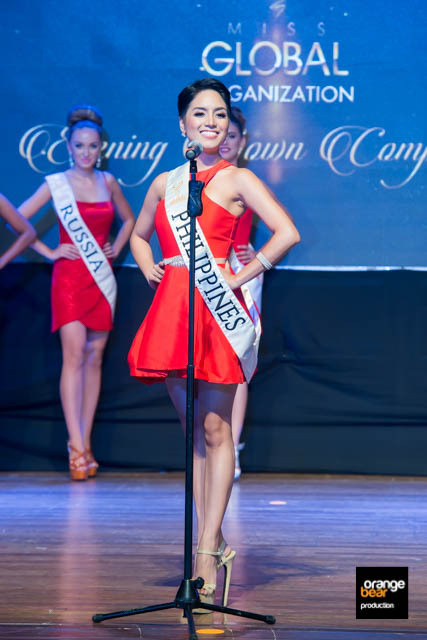 Beauty pageants and modeling was fine until she decided to join a Binibining Pilipinas Pageant Screening in 2014. Prior to joining, she purposely cut her hair short as she wanted to easily manage it. It was shoulder length when she auditioned for the Binibining Pilipinas. All other candidates had long hair, as this was some sort of a norm in beauty pageants. So she became an instant hit among writers and bloggers alike. As heaven would have it, she was not included in the final list of candidates for Binibining Pilipinas, God had other plans for her. She went on to work for a year as Flight Steward for Saudia, then proceeded to be a writer for a Philippine Senator. 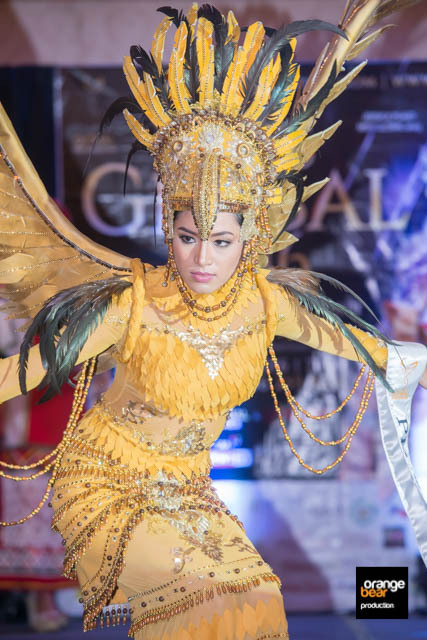 Two years after that Binibining Pilipinas Screening, she joined Miss Global and another chapter of her life came into being. 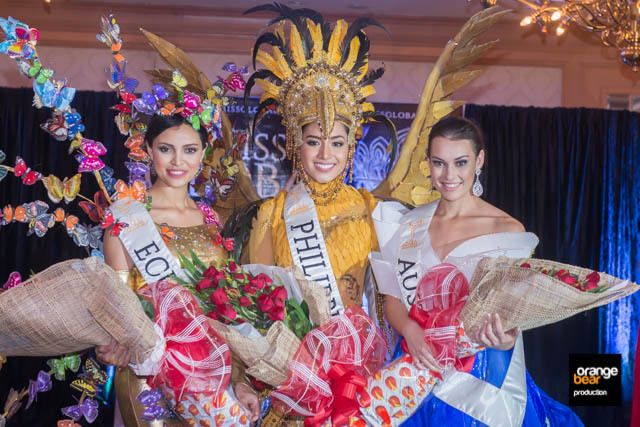 Having won Miss Global Philippines 2016 and the First runner up to the reigning Miss Global 2016, she now has the voice to speak up and instill inspiration to the upcoming beauty queens and to the public as well. She’s more aware now that her voice was powerful and having this power comes with responsibility. It’s not easy anymore to post anything in Facebook as people take her words seriously more now than before. Since winning both titles, she’s now busy with Miss Global activities and with modeling and hosting events. She plans on getting bigger hosting gigs and be on TV as a broadcaster. With her talent and passion, we know we will see her delivering the news one day. Right now she also mentors aspiring beauty queens with their speaking skills, which is vital in the question and answer portion of any pageants. She believes that having the ability to answer must be accompanied with the skill of delivering your answer to the world. She breaks down the technical side of public speaking so as to impart the same to her aspirants. The way of delivery must exude confidence and this is vital in winning competitions. She also reminds them that there is more to beauty pageants and it should not end there. She holds emphasis that one has to have her story to tell before joining a beauty contest. Making your journey to the beauty pageants with meaning, instilling inspiration to others, making others act on something that you really believe in. That is the power of one’s story. And now, this has been Camille’s story all along, and she told it beautifully on stage, and she won.